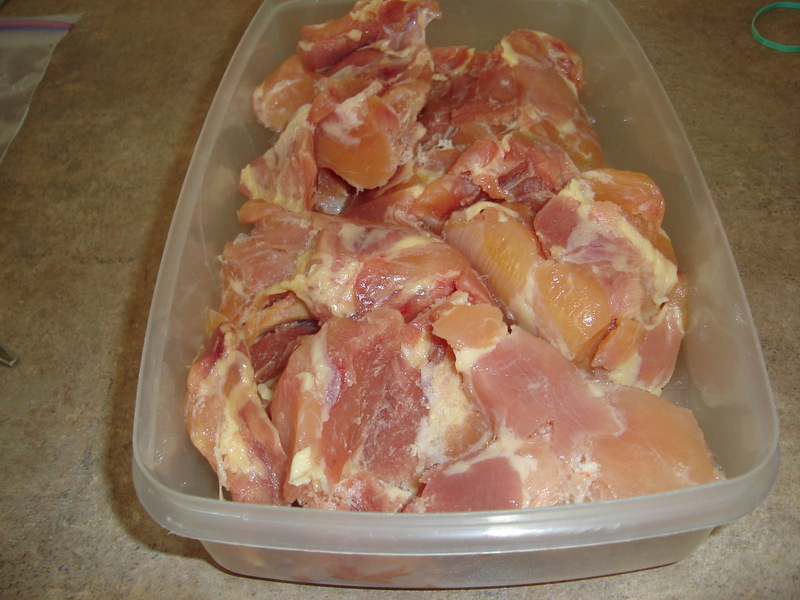 Boneless skinless chicken thighs are simple and easy to grill. I like to marinate them in the morning for an evening grill. 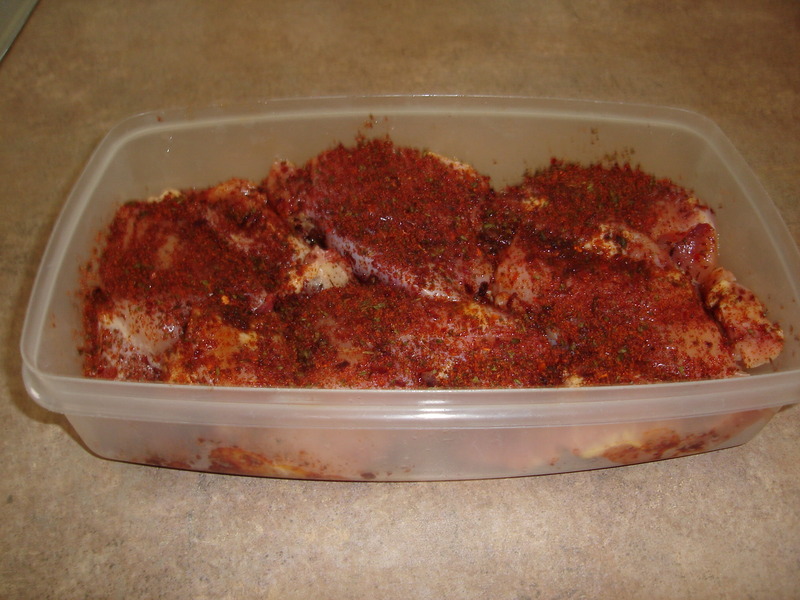 McCormicks makes a variety of marinades which are a simple and easy way to add great flavor to your meal. One of my favorites is McCormicks Baja Citrus marinade. To this I add 2 cubes each of Dorot‘s frozen cilantro and garlic. If you haven’t tried this, it’s a quick and simple way to add extra flavor to your marinades. Grilling Time -Set your grill up for direct grilling and high heat , remembering to oil the grate ( see the Basics section of my blog ). When the grill is ready put the chicken thighs on the grill, cover them with the lid and cook them for 3 minutes, flip and cook for another 3 minutes,flip a final time and cook them for another 4 minutes. Pull the thighs from the grill and let them rest for a few minutes. Serve them with a Mexican rice, a salad or your choice of side. 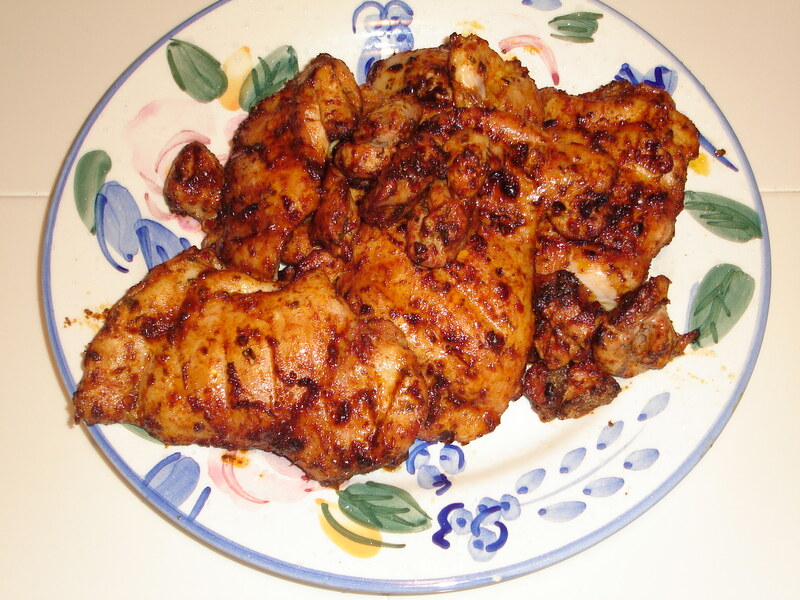 This is a simple and easy chicken thighs meal with no flare up that is perfect every time. As always, make notes of any adjustments you make and you will be on your way to being Master of the grill !